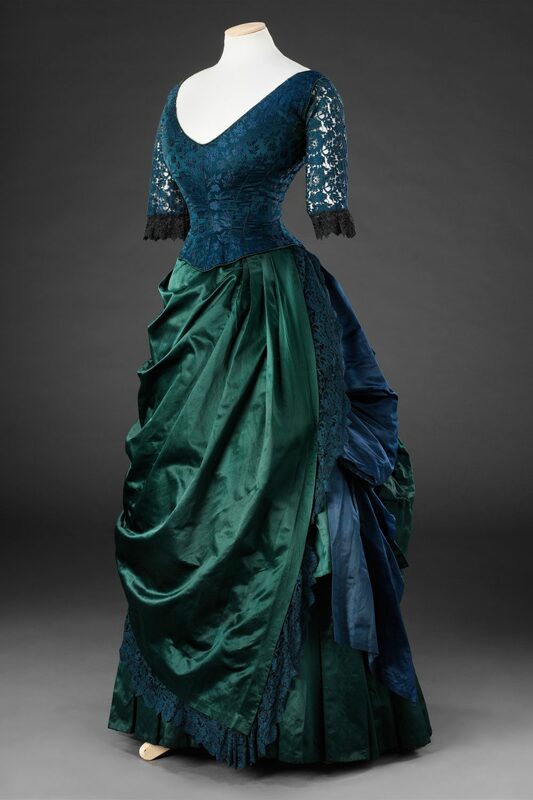 This distinctive two piece evening dress demonstrates the contemporary complexity of design and materials to create strong and unusual contrasts, being constructed of three different fabrics in two shades of rich dark green, all of which reflect or absorb light differently. 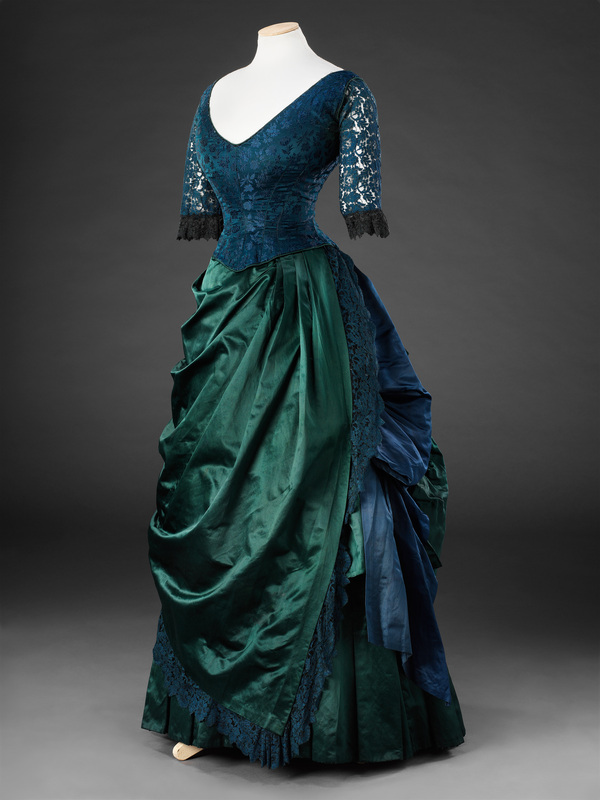 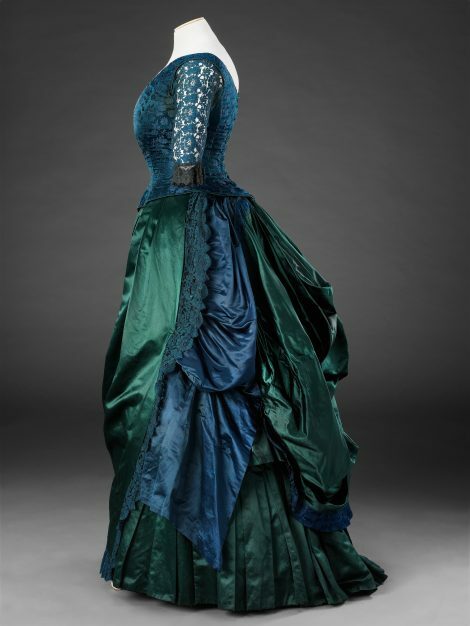 The bodice is made of blue-green silk woven with a self coloured floral pattern piped in green satin, its unlined sleeves of matching lace fabric; untrimmed, it sets off the elaborate, asymmetrical drapery of the skirt. The bustle back, bordered with floral silk, is of heavy green satin, as is the front apron that is trimmed with lace matching the sleeves, and the deep pleated hem. A puffed blue-green satin panel on the left side echoes the colour of the bodice. 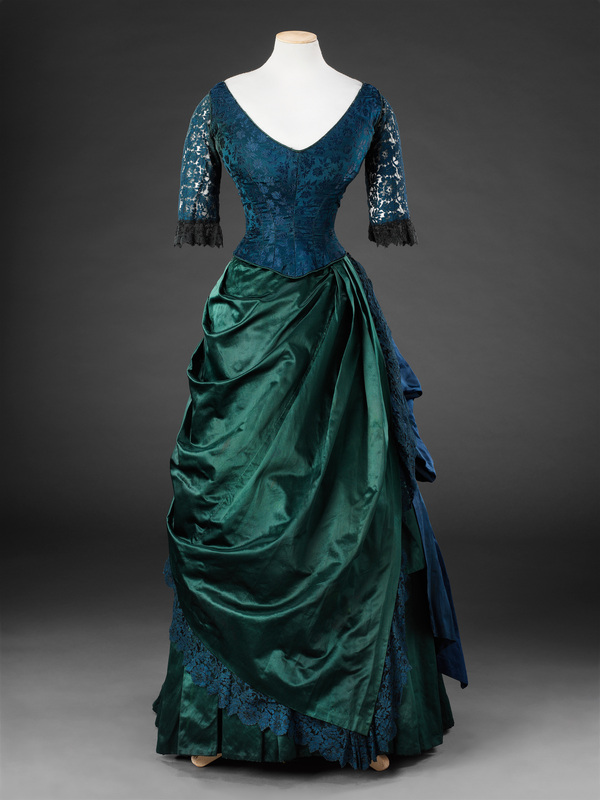 This elaboration, disguising the lower body, appears to be undergoing its swan song before skirts become plainer and smoothly fitted over the hips in the following decade. 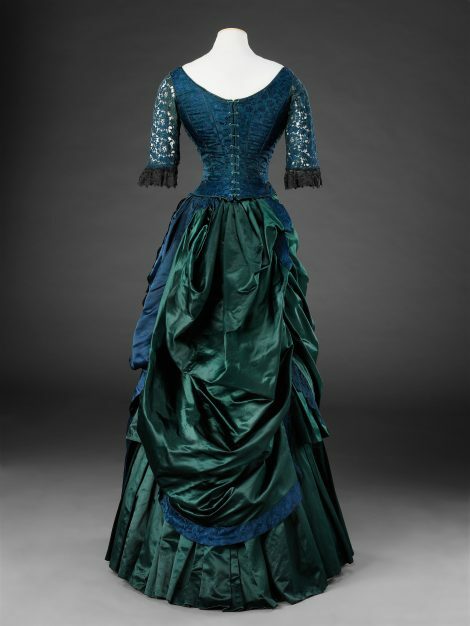 It can be seen from the interior that the dress is quite roughly put together and sewn, and that two horizontal bands of stiffening and tape ties at the back of the skirt reinforce the shape of the bustle.